As a postpartum doula I get a lot of questions about what I would recommend they have when their newborn arrives. There are so many great products and services on the market, it can be hard to determine what you may actually need when that sweet baby comes home. I always recommend a handful of things, including a good quality receiving blanket. 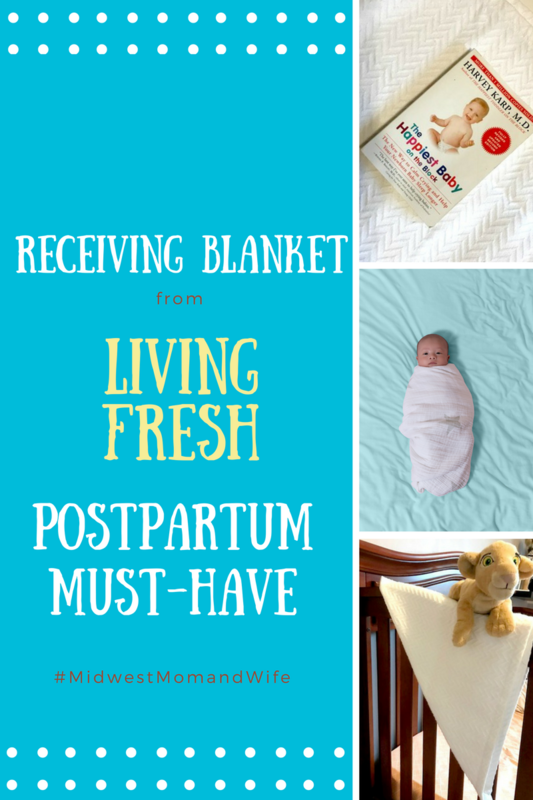 Now, I do not recommend any receiving blanket, but I recommend Living Fresh’s Baby Receiving Blanket. A receiving blanket is one item that is used from the day your baby is newborn through their toddler years and even longer. A receiving blanket becomes a comfort item for your child. It is the thing they are swaddled in as a newborn, lay across as they play on the floor, held while they are feeding, dragged around as they begin to walk, the item they take to daycare or Grandma’s house, and so on. Having a good quality receiving blanket, that is going to last, is a must! Living Fresh Baby Receiving Blanket is just that. This super soft blanket is made from the purest of natural fibers. It is woven using botanical eucalyptus fibers. There are no toxins, chemicals, or dyes. You may be familiar and have used Living Fresh bedding yourself! If you have slept in a hotel recently, the bedding you have slept in is probably from Living Fresh. They pride themselves in providing soft and luxurious bedding. Due to the fibers from Eucalyptus trees, their sheets literally cool you as you sleep. Their bedding also becomes softer every time you wash. They offer bedding, bath, sleepwear, and much more. Follow them on Instagram and Facebook to stay up to date with their products. 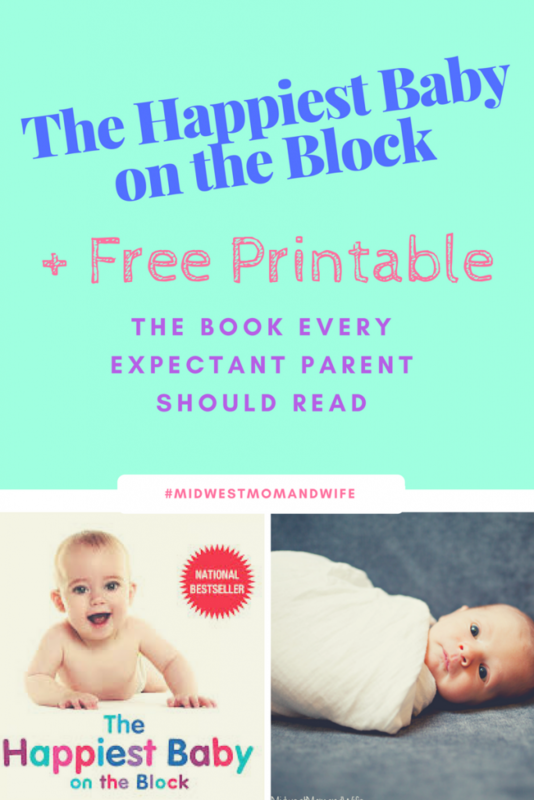 The Happiest Baby on the Block Review + Free Printable! There are several great books that I recommend reading when you are expecting. It is hard to read them all though! One book that is at the top of my list is The Happiest Baby on the Block. When I was expecting my oldest, I was given this book as a baby shower gift. At the time, I thought “oh great, another book I need to read”. Let me tell you, if you decide to read just ONE book focused on calming and caring for your newborn, The Happiest Baby on the Block is the book to read. There are no such books, classes, or workshops that will tell you how to parent. I like to think of all these options as resources for you to gain knowledge of why your newborn may be acting the way they are and tools you can place in your back pocket and pull-out when needed. 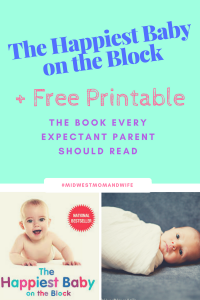 When I first read The Happiest Baby on the Block, within the first ten pages I had an epiphany! The Fourth Trimester. What?! Why was this the first time I had heard of this? The Fourth Trimester is becoming more known and talked about, but not all parents’ still understand this period of time. The Fourth Trimester is described beautifully in The Happiest Baby on the Block. So, what is it? In short, our babies are born super early compared to other species of newborns. They are born early, so they can fit through our birth canal. When your infant is born, they cannot walk and speak (this is a duh! ), but think about giraffes who are born and quickly are able to stand up and walk around. Our newborns rely on us to provide their basic needs, and the only way they can communicate discomfort and/or concern is through crying. I highly recommend reading chapter 1 of The Happiest Baby on the Block, which will explain this much better and YOU will have your “aha” moment. Now that we understand there is a forgotten Fourth Trimester, what do we do now? The Happiest Baby on the Block will walk you through the 5 S’s which will help turn on your newborns calming reflex. Swaddling. There can be an art to swaddling and it does take practice! 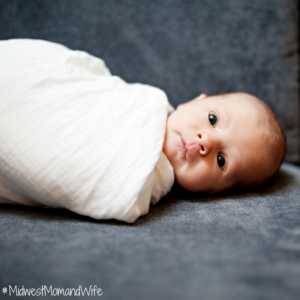 The Happiest Baby on the Block does a good job breaking down why swaddling is great and several different ways to swaddle. Side/Stomach lying. This position is a “feel-good” position for your newborn. It sounds strange and you may be thinking “I thought they needed to be on their back”. 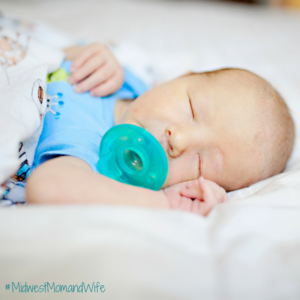 When done safely, this is another step in calming your newborn. Shushing. When your newborn is in your womb they constantly hear the “shhhh” sound. Whether it is white noise or you saying “shhh” this is another comfort to them and allows your newborn to calm down. Swinging. Any rhythmic movement is very soothing. Even as adults swinging can be a great way to relax and calm us. Whether you place your newborn in an actual baby swing or if you create a rhythmic movement while carrying your baby around, this is another great way to calm your newborn. Sucking. Sucking is usually the final step that seals the deal. Whether it is nursing (another great benefit to breastfeeding) or a pacifier, the sucking motion creates calm almost instantly. The Happiest Baby on the Block does a great job going into detail about all the different ways you can help your newborn create the sucking reflex and why it is so important. The Happiest Baby on the Block has some great, detailed information that every expecting parent should read. It’s understandable there is a lot on your plate preparing for your newborn and when your baby arrives, taking time to read is not a priority. I love to share with parents and families I am supporting, the 5 S’s in calming a newborn. Since I believe they are so important I have created a printable for YOU to print and post on your refrigerator or in your bedroom. Put it somewhere, so when you are struggling with calming your baby, you can glance at this printable and be reminded of the 5 S’s.